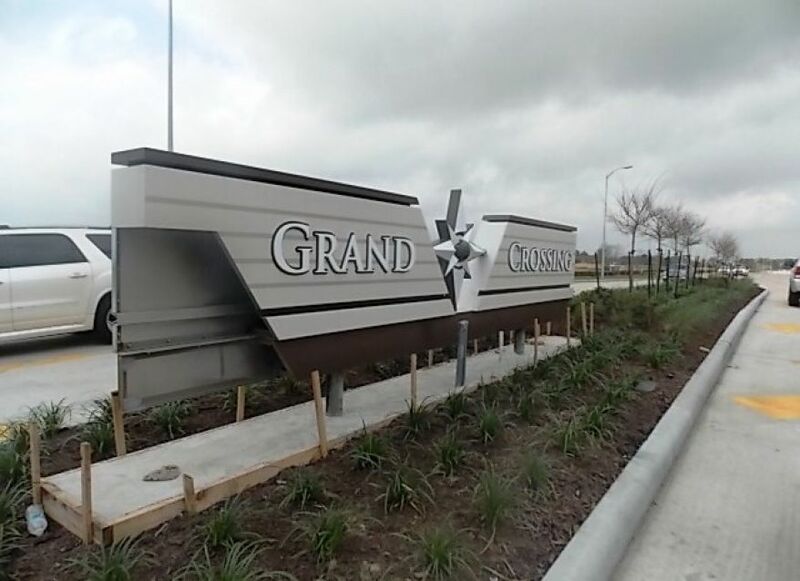 Grand Crossing is a 123 acre site located on the southwest corner of the Grand Parkway and IH-10. The tract is a mixed use development consisting of the current Costco development and future office, retail, restaurant, and multifamily uses. RGM designed all of the public streets systems and designed two large amenity/detention facilities that serve as both detention and a public amenity that will be complete with parks and walking trails that surround the lakes. Grand Crossing will be known as a landmark similar to the La Centerra shopping center south of this location in Cinco Ranch. The development will serve as a meeting place for shopping, dining, recreation, work place and residency. RGME is currently on the 3rd phase of a total of 5 phases that ultimately will include the Costco, multiple restaurants along the Interstate 10 feeder and Grand Parkway, Office complex with parking garage, High end luxury Apartment homes and parks and lakes within the detention reserve areas. The tract falls within the Cimarron MUD and will be receiving reimbursement on the public utilities via the next bond package produced by the MUD. Cobia drive will connect the Current I-10 feeder to the existing West Fernhurst which will ultimately tie in developments along Kingsland and south of Kingsland. This is a much anticipated street extension for the community.